After trying this domain’s good value Sancerre ‘La Croix au Garde’ I got curious about the even cheaper Sauvignon Blanc from the tiny appellation of Menetou-Salon. I’m not talking about the premium bottling from the village of Morogues but of the generic Menetou-Salon that is made from grapes from the domain’s own vineyards as well as purchased grapes. Pale straw in the glass the wine shows a restrained nose reminescent of white flowers, fresh cut grass and minerals. Crisp and clean on the palate the wine has balanced acidity, good mouthfeel but a fairly neutral fruit expression making it an easy drinking quaffer rather than a real interesting wine. 85 points. Domaine Henry Pellé is an excellent producer of Sauvignon Blanc and Pinot Noir from the appellations of Menetou-Salon and Sancerre. The grapes for the ‘La Croix au Garde’ Sauvignon Blanc are organically grown on Les Terres Blanches around the village of Montigny resulting in wines with distinctive varietal and regional character. Pale straw in the glass the nose offers intense but delicate citrus and vegetal aromas with no traces of cat pee and gooseberries that can be so overwhelmingly present in those from New-Zealand. 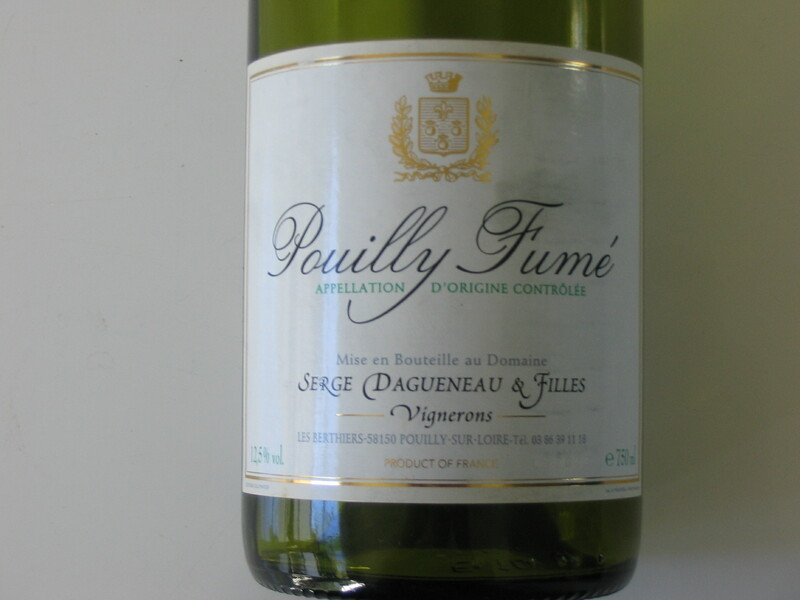 The palate is clean and fresh showing zesty lemony acid underpinned by lovely chalky minerality. This wine may be somewhat one-dimensional but hey, at $28 a bottle this genuine Sancerre presents terrific value for money. 88 points. The Sancerre 2004 from Christian Salmon fully reflects the typical characters of the appellation. The wine is made from grapes grown on the calcareous clay soils of Les Terres Blanches resulting in a powerful and vigorous wine. The golden colour may suggest that the wine is on its way out but the intense herbaceous and flinty aromas tell us different. The palate is lean and tight with racy citrus fruit and green apple. The nearly acrid finish shows a lot of stony minerality. Overall this is a more mineral than aromatic or fruity wine style. It may have less fruitlayers or complexity than other wines, but it is still concentrated and focused. 90 points. Although the controversy about the concept of terroir is only one of the many in the world of wine, it is a very interesting and debated one. Jamie Goodie (http://www.wineanorak.com/) made very good efforts to coin this concept, stressing the fact that it means different things to different people. In his book ‘Wine Science‘ he points out that the word terroir is used in three different ways. According to Goodie terroir is mainly defined as the wine’s expression of flavour characteristics influenced by the properties of the vineyard or region from which it originates. Secondly terroir is used to describe the vineyard site itself including the combination of soils, sub-soils and climatic factors that affect the grapes and therefore the wine made from them. Last but not least Goodie focuses on the concept of Goûte de Terroir, or the way the individual vineyard site directly imparts its flavours on wine through the roots of the vine. I agree with Goodie that there is a lack of scientific evidence for this view, but I fully support his view on the importance of the physical proporties of the soil and vineyards for the grapes and wine they produce. This is even more so in for viticulture marginal regions such as Burgundy and the Loire valley. The white wines from Sancerre are derived from three different soil types which produce grapes with varying flavour profiles and characteristics. Because many producers seek to moderate the dominance of one particular profile, cuvees are made to enhance complexity without denying the individual terroirs to express their virtues. For the Pascal Jolivet Sancerre 2004 half of the blend is made up of grapes sourced from Les Caillottes, soils with a very high proportion of limestone that produce aromatic and early drinking wines. About 30 percent of the blend is derived from grapes from the steep hills in the western part of the appellation, Les Terres Blanches. The clay and limestone soils produce more powerful wines that are relatively longer-lived. The balance consists of grapes from soils high in silex or flint that gives the wine the typical acrid and flinty characters. The wines from each vineyard area are fermented separately to optimize the expression of terroir in the final blend. The intense nose reveals a broad spectrum of fruit characters ranging form lush tropical fruit, to citrus and vegetal tones. The palate is complex and powerful, finishing with a flinty, minerally and refreshing crispness. And with regard to terroir, this is certainly a wine true to its origins and with a sense of place. 90 points. With the warm summer weather people here in Perth drink a lot of white wine. New Zealand Sauvignon Blanc and our local Margaret River Semillon Sauvignon Blanc blends are definitely most popular. I choose to open another Sancerre though while I’m really digging into this region at the moment. The Comte Lafond Sancerre is made by De Ladoucette, the largest property in Pouilly-Fumé with approximately 65 hectares. Since 1972 Baron Patrick De Ladoucette runs the domaine, located at the fabulous 19th century Château de Nozet near the village of le Bouchot. Apart from the superior Pouilly-Fumé Baron de L, De Ladoucette also owns Marc Brédif in Vouvray and makes Sancerre under the Lafond label. This pale golden wine has an intense flowery nose with citrus and mineral tones. The palate is full, round and has a creamy texture which is balanced by citrusfruit, chalk and pebbles that add just enough freshness and acidity. The finish is long and persistent. It’s a wine where the emphasis is laid on structure rather than on the more pungent characters of the variety. I would have given it a higher rating when it would have had just a little more nerve. 91 points. With the summer in full swing I kick off with a refrehing Sancerre from Vincent Pinard. There are quite a few different styles of Sauvignon Blanc but most people knowand love this variety by the grassy, herbal and gooseberry aroma’s combined with its zesty freshness. Due to its success global plantings have risen dramatically. In New-Zealand alone total Sauvignon Blanc plantings have risen from 1,453 hectares in 1997 to 8,860 hectares in 2006. There is no doubt that a big part of the crop is used for the production of commercial and mediocre wines. Many of these wines are exuberant pungent, one-dimensional and often lack a little complexity. 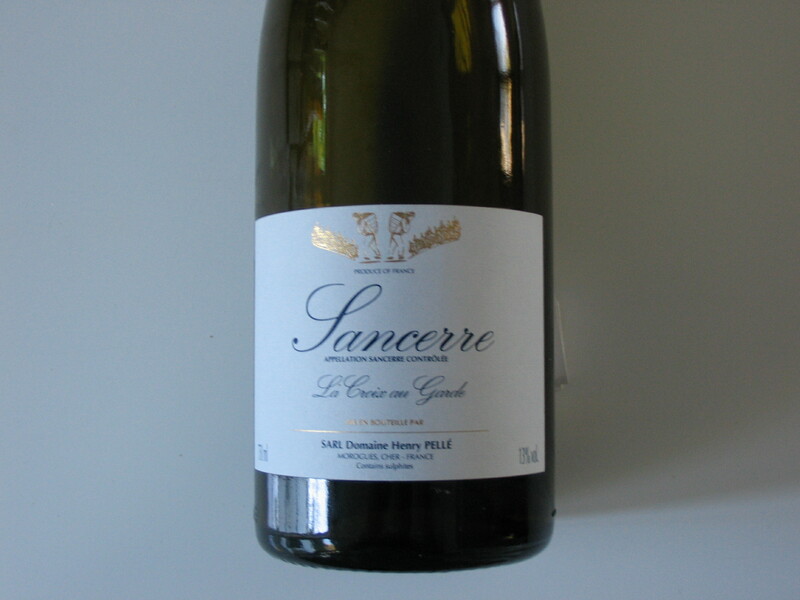 Sancerre on the contrary can be much more subtle, layered and vivacious compared with their New World counterparts. The wines from producers like Pinard illustrate this best. The grapes used in his Cuvée Florès are from different vineyards with vines of average 20 years old. It’s an unwooded and very flavoursome wine with grapefruit and slightly sweet floral characters on the nose. The palate shows lively tropical fruit, grapefruit and vegetal flavours that are delivered with a beautiful mineral freshness on the finish. The great balance, depth and complexity make this a truly stunning wine. 94 points.